Ellen Gorton was born 12th November 1857 in Otahuhu, New Zealand. Her father was John Gorton and her mother Margaret Hughes. She married Thomas Arthur Grattan who was born in 1851 in Phillipstown, Kings County, Ireland. 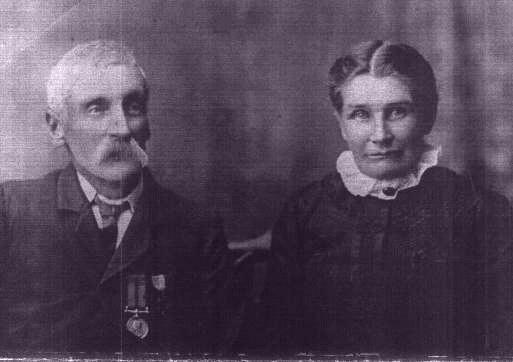 They married in Hamilton on 13th April 1880, moved to Te Aroha and had 9 children. Ellen died 5th October 1952 at Hamilton, aged 94. This interview is in 6 parts and totals about 28 minutes. A text version will be shown in this frame. The sound files may take a few minutes to load, be patient. Click here to return to Genealogy Homepage. Arthur and Ellen Grattan, about 1914.